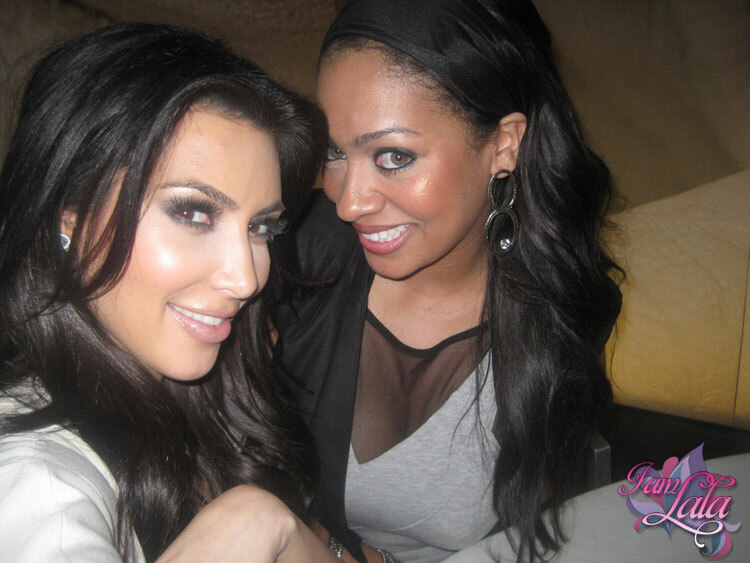 *LaLa Anthony is a friend of Kim Kardashian and doesn’t appreciate the remarks about her being a whore. In fact, she shared in an interview with the Breakfast Club, that she’s very irritated and offended by the constant hate on K.K. So she took a moment to define what a whore is. “I think a ho’ is someone who has no morals and values when they do what they do. I don’t think a ho’ is someone who sleeps around because if you’re single and you’re enjoying yourself, that’s kind of what you’re supposed to do,” LaLa said. A listener asked if she was concerned about K.K.’s reputation clouding the public’s perception about her. “If your friend has a bad rap, you can’t take responsibility for what your friend does. You shouldn’t be grouped in that category for what she does. You can only be responsible for your own actions,” she said. you got it…i’ll stop bytch…. Or else, what are you going to do?????? These reality birds kill me. Too funny…..Birds of a feather flock together…..Whatever LaLa, have a whole stadium of seats….ole bugged eye heffa. The only idiots vouching for this plastic vane chick are people of color. I truly don’t understand the obsession. She gets no love from her own and she is considered ultimate trash. One day some of us will learn. LaLa needs to stop defending hoes in the street and take care of the one in her very own home that she’s married to. Now that’s the real ho! I like LALA and it’s cool to protect a friend publicly even while you may disagree privately. Not a fan of KK, this is only the second story I’ve read on her,just see headlines/pictures ad nauseum.BUT if she didn’t release the video with her and RAY ,then why the hate really? Her voice is annoying to me,sounds airhead like, but…she is apparently an astute business woman or is smart enough to listen to someone who knows how to make money. She obviously likes something about Black men(lol) ,maybe even a lot about Black men.Ive seen her with her ex husband, Ray,Bush, Hump,and West,spread out over years.So don’t honestly see a hoe.Is it because white people especially white men and Black people especially Black women don’t like her dating Black men???? ?Cause let’s be real if you are a white woman dating a Black man historically that’s what you are called by many sistas and white men,true or not. Just asking,am I missing something,since I just go by headlines and don’t read the stories. I listened to the interview and LALA didnt say what this HEADLINE claims,so all y’all calling her out her name and making snide remarks based on this inaccurate HEADLINE are wrong and need to get the facts before commenting so harshly and wrongly.Shame on you and eurweb,AGAIN!!!! I don’t think a ho’ is someone who sleeps around because if you’re single and you’re enjoying yourself, that’s kind of what you’re supposed to do,” LaLa said. Redtopp, sounds like they’re two of a kind so LaLa is very sensitive about what’s being said about Kim. Her statement regarding “a friend not being able to defend someone’s actions”, contradicts the SHYT outta her whole shyt! Like…WTF does she “think” she’s doing!!?? Memo to LaLa?….”ANYone who “sleeps around” is a (drumroll’)…..WHO’RE! Is not the “singleness”, it’s the “non relationship/free love/MULTIPLE partners” of it all! GD. Take yo azz AND yo “friend” to the “clinic” & ….STFU!! SSMGDH!! Just because this garden tool has a jones for Black race traitors shouldn’t be a reason for you to constantly keep reporting about her on this site. We can also do without the latins and wanna be latins. We have no kinship with any of these lower forms. Look only to we ourselves. Just because this garden tool has a jones for Black traitors shouldn’t be a reason for you to constantly keep reporting about her on this site. We can also do without the latins and wanna be latins. We have no kinship with any of these lower forms. Thank you @Chosin Few, I totally agree. We don’t care about that rich whore or what she is doing and don’t care want La La has to say either. Who the F**k is La La!?! Kim Kardashian is nobody but a rich HOE. period blank.